Kale is everywhere these days, and for good reason. It's super nutritious, it's a trendy ingredient used by top chefs, and it actually tastes pretty darn delicious when prepared correctly. Kale is also a versatile green that plays well with all sorts of ingredients and flavors, from sweet to savory to even spicy. 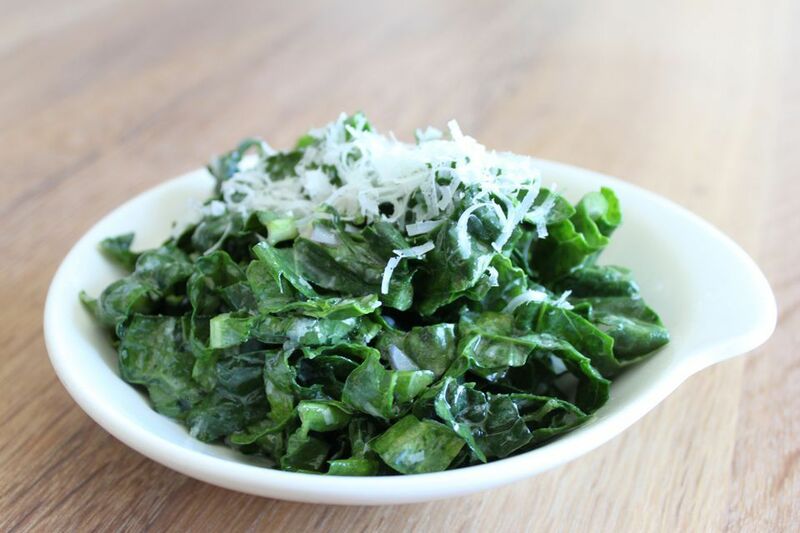 Kale salads are perfect for when you're craving a big meal but don't want to feel weighed down. Plus, just one cup of kale gives you more than twice the amount of vitamin A you need in one day, along with plenty of fiber, folate and other wholesome nutrients. Browse through these kale salad recipes and get inspired to make your next lunchtime or dinner salad with kale. Wake up your kale salad greens with the wonderfully simple and tasty dressing in this recipe. Grated cheese (you can use Parmigiano-Reggiano, Pecorino, Grana Padano, Dry Jack or any other salty, nutty hard cheese) is whisked with salad oil, lemon juice, shallot and salt for a nutritious and delicious fresh salad that makes a beautiful starter for any elegant dinner party or family meal. Are you a lover of sweet foods, more than savory ones? 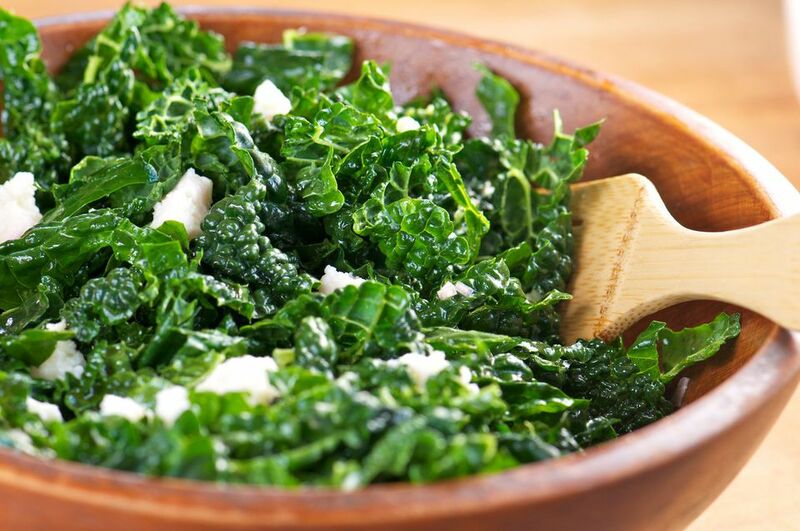 If so, then this super healthy kale salad recipe is absolutely made for you! Raw kale is a versatile salad green that makes a wonderful base for this delicious, wholesome, sweet fruit salad. You can try this kale salad recipe with so many different fruits, but we do recommend including banana, for its silky texture and satisfying mouth feel. Toss in apples, grapes, strawberries, blueberries, mango, kiwi or even cherries on top. The possibilities are endless! Tying it all together is a lovely dressing with dried shredded coconut and lime juice that you'll want to steal for your other green salads. Hearty, chewy, filling and with a lovely blend of sweetness, savory tastes, and crunch, this well-rounded kale salad recipe makes a fabulous main course salad for lunch or dinner during the hectic week. Roasted golden beets add a beautiful, mellow sweetness to earthy kale leaves, that are decorated with walnuts, raisins, garlic and lemon, all tossed in a to-die-for creamy tahini dressing. Elegant, decadent tasting fresh figs are the star of this wonderfully tasty and insanely nutritious kale salad that you'll be proud to serve at your dinner parties and holiday meals, or bring as your contribution to potluck parties and picnics. Figs add pizzazz and satisfying flavor to a lovely tossed green salad with fresh kale leaves, other mixed greens, ripe avocado, sweet carrot, crunchy zucchini, zingy lemon juice and Omega-3 rich flaxseed. This one is sure to impress your friends and family. Quinoa is a superfood plant that has a taste and texture similar to a nutty rice, but packs a ton of protein, while still containing twice as much fiber as most grains. When you add quinoa, which also adds healthy iron and magnesium to your diet, with super healthy kale greens, you've got a one-two punch of nutrition that can't be beat. This yummy salad recipe with quinoa and kale, in a simple mustard-infused vinaigrette dressing, is a genius way to boost your nutrition any day of the week. Pack this kale and quinoa salad for your lunch to take to work, or enjoy it any evening as a main course salad dish. Switch up your usual slaw game with this creative salad recipe that adds superfood kale greens to the usual shredded cabbage mix. Low in carbohydrates and light in calories, you can enjoy this healthy slaw recipe alongside any barbecue or grilled foods. It's a breeze to make, with a light and easy dressing that combines some olive oil, grainy Dijon mustard, and white wine or white balsamic vinegar. Liven up your burgers, pulled pork sandwiches, fish tacos or barbecued meats with this salad at your outdoor grilling parties! We love this hearty first-course salad for dinner parties. Blue cheese and kale bring elegance and fabulous flavor to this salad recipe that makes an elegant starter when you're entertaining guests. Sophisticated blue cheese and crunchy, protein-rich walnuts add something special to this lovely salad with a base of lightly steamed kale, tossed in a light and easy homemade vinaigrette dressing. Wake up your taste buds at lunch or dinnertime with this amazing kale salad recipe that's a little bit sweet, and a little bit spicy, with just the right amount of saltiness. It's an explosion of flavors that satisfy your palette, while you get to enjoy all the superfood benefits of nutritious kale greens. Citrus fruits combine with kale, grated carrot, currants, and a lime-spiked dressing to create this fabulous green salad that's perfect for taking to work as a healthy upgrade to your usual brown bag lunch. Looking for a guilt-free potato salad that's lighter than the usual mayonnaise-heavy dressings? Here's an easy, egg-less and mayonnaise-free vegetarian and vegan potato salad recipe that's also naturally gluten-free. It's perfect for picnics since you don't have to worry about refrigeration. Vegan potato salad with kale delivers a healthy dose of green veggies for vitamins and fiber and can be enjoyed hot or cold. The raw food trend has inspired so many people to come up with creative ways for eating raw foods, without sacrificing great flavor. This raw, whole foods recipe for marinated kale salad with lemon and garlic is a quick, easy and truly delicious way to eat your greens. Fresh kale greens are nestled in a simple marinade and left to soak up the goodness of the ingredients for several hours or overnight. The result is a tender, wholesome salad or side dish that can be enjoyed at any meal. Dress it up with protein-rich slivered almonds or cashew halves, for a crunchy treat. Start with a basic recipe for kale salad and a simple vinaigrette dressing, and the possibilities for lovely variations are endless! This recipe includes plenty of amazing ideas for taking a classic kale salad recipe to the next level, including tips for those who like their salads spicy, how to add color to your kale salads, ideas for getting more crunch and sweetness into your kale salads, and even inspiration for anchovy lovers.